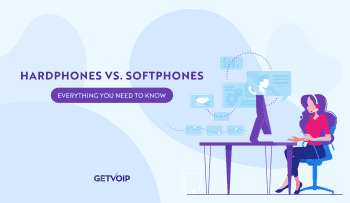 With the VoIP platform growing increasingly popular, there’s little doubt that this mode of telephony is here to stay. Increased user acceptance and demand has lead to an influx of available services and providers. As such, it can be a little intimidating, if not harrowing, for new(er) [or less experienced] users to find/create the appropriate VoIP strategy. While research can be informative, a seasoned insight may help one better understand their options. Having a lens to refine data can help better navigate the VoIP industry (and available solutions) to better assess their best options. 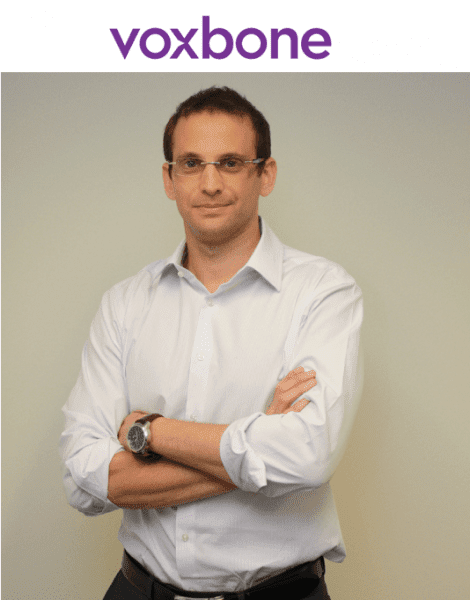 That being said, we sat down with Itay Rosenfeld, CEO of Voxbone, to discuss his (and his company’s) views on the industry at large, their own portfolio of offerings, contingencies, and other necessities within VoIP. Michael Ventimiglia: Voxbone currently offers a full suite of services and features through a cloud structure. This is something that’s becoming increasingly popular amongst competitors. How do you distinguish your service from others? 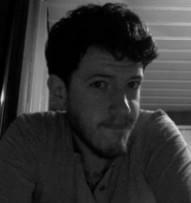 Itay Rosenfeld: Voxbone is quite a unique company. We offer our customers the possibility to connect to the local PSTN network in 50 countries without any investment via a single IP-based interconnection. As such, we enable cloud communications providers by connecting them to local telephone networks. We were the first service provider to offer such a service on a global scale. Since then, many have entered the game. Today we still lead the market because our focus on quality of service. We have our own telephone numbers in the majority of our footprint, we are licensed in 50 countries and we have a private global VoIP backbone. Also. the automation of service management is a key differentiator. You want 1,000 phone numbers in Romania or to increase your call capacity with 100 channels? It can be ordered and activated online and real-time, just with a couple of clicks. Much of our success is due to the unique combination of “traditional telco-like” quality of service and “amazon-like” ordering and service management. MV: On the heels of the previous question, how does Voxbone go about deploying solutions and services? Additionally, do these operations help to further distinguish your company from competitors? If so, how? IR: We want to bring as much PSTN service as possible to the cloud. This enables cloud communications providers to offer a service that is superior to traditional voice services in all aspects. For example, offering the possibility to call 112 (or 911 in the United States) is an obligation in Europe. This service is only available on the PSTN. We make sure cloud providers can offer their users the possibility to dial 112 or 911 from their cloud communications service. Another example is fax. We make sure our customers’ cloud PBX services can still receive faxes. Another domain we are working on is extending in-country coverage more broadly. Our customers want to offer their services not just in a couple of cities, but in an entire country. MV: One of your company’s focuses is hinged on global coverage. How does Voxbone work to provide global coverage? Also, being that you are based in Brussels, are there any challenges in providing coverage to certain areas? If so, why? IR: Although we are based in Brussels, we consider ourselves a global company with a multi-national culture. Today, we have 27 nationalities represented among our employees. This makes a huge difference. We also have been rapidly growing offices in Los Angeles and San Francisco. The key issue we have today with expanding our coverage is the fact that many countries have very conservative telecommunication regulations, not legally allowing the kind of service we offer. This is the case for India, China, Russia, Thailand and the majority of African countries, for example. Some service providers offer services from these countries, however with the risk of being shut down overnight. MV: With over 13 years of experience in the telecom industry, including positions with companies such as Cisco EMEA and US, Ehtos Networks, and ECI Telecom, have your experiences influenced how you operate within Voxbone? If so, how? IR: You can consider Voxbone some kind of a bridge between the global traditional telephone network and the Internet, or IP networks in general. This means that we deal with every field of the telecom industry: IP and TDM networking, SS7/PSTN voice, VoIP, fixed and mobile communications, to name a few. Our back- and front-end systems are mainly developed in house. Our global VoIP network combines best-of-breed equipment from industry leading vendors with in-house developments. My personal background, working at different companies in different domains, is a good match with the diversity of technologies we work with at Voxbone. It adds up to the tremendous experience of many telecom professionals who have joined Voxbone from telecom industry leaders all over the world. It is this diversity of employees’ expertise and cultural richness in all departments, from R&D to sales, which make Voxbone a successful company with operations in 50+ countries. And just like me, every Voxbone team member has some form of best practice to contribute from his or her past experience, which we integrate in a sensible way. MV: As stated earlier, Voxbone offers a full suite of service and features. As such, does your company have a disaster recovery plan in tow? Please explain. IR: As we position ourselves as the leader in quality of service, we have invested a lot of money and effort in building a fully redundant network and operations. All our service and IT platforms are spread over five (5) different geographical locations (or SuperPOPs, as we call them). Every SuperPOP has more than enough capacity to be able to handle the traffic from another SuperPOP in case of outage. This failover is instant and fully automated. In addition, we have equally sized network operation teams in Brussels and Los Angeles. MV: VoIP has become increasingly popular over the last decade. With new services and features being added regularly, it doesn’t seem likely that this will change. How does Voxbone fit in the VoIP industry? Where do you see this company is 5 years and why? IR: VoIP has become hugely popular because it broke with two telecommunication paradigms: 1) it made it possible to uncouple voice services from physical lines and location and 2) it helped communications become a software thing instead of a network thing. In the past, offering communication services was a privilege of network service providers. Today, multi-media communication services can be built and offered by anyone. Yet, some characteristics of the PSTN are invaluable for communications: global routing and addressing (with the use of telephone numbers), quality of service, access to emergency services and lawful interception. We will continue to focus on offering these enablers in an ever changing technological and regulatory context, allowing our customers to focus on developing value-added communication services. 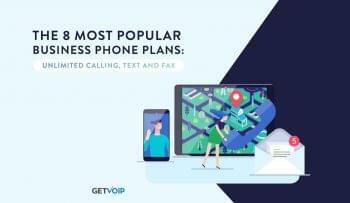 MV: Again growing out of the previous question, just as VoIP has seen tremendous growth in popularity, so to has Global VoIP. What factors have lead to this? What do you think the future holds for Global VoIP providers? IR: As previously said, VoIP made it possible to offer communication services globally as there is no link needed between a physical network and the service. This enabled Skype, Google, or Rebtel to offer a telecommunication services on a global scale. 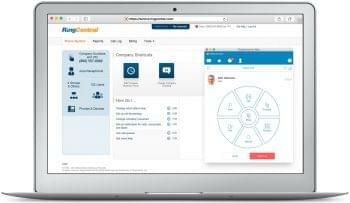 The same thing is now happening with business communication services as cloud PBX providers such as 8×8, Phone.com, Sonetel and Ringcentral go international. These global providers benefit from global economies of scale and their focus on improving the communication service itself (without having to bother about the network). As the telecommunications environment (e.g., regulations, technology, number portability, etc.) is different in every country, their challenge is the localization of the service. That’s exactly where we can help. MV: Voxbone recently announced LiveOps, “a cloud-contact-center solution for voice, multi-channel and social media that routes incoming contacts to the best-available agent, regardless of where the agent is physically located on the network.” What plans/hopes do you have in introducing this solution? IR: Contact centers are one of the areas where substantial savings can still be achieved with the introduction of VoIP-based solutions. Over the last decade, contact centers have focused on workforce optimization (including business process outsourcing) and the introduction of new communication channels such as email, web forms, and chat in the customer-care processes. Over the next several years, they will realize cost savings and efficiency gains by sourcing their telecommunications from the cloud through Voxbone or even the entirety of telecommunications and call and customer management applications through Liveops. Also, as contact centers become increasingly international, cloud based solutions can bring a lot of value. MV: How does the LiveOps solution differ from similar solutions offered by competitors? IR: The Liveops solution enables contact centers to focus on what really makes a difference: their workforce. By outsourcing the entire call handling, they don’t have to deal with telecommunications service providers, PBX/ACD integrators and CRM software vendors anymore. We help companies such as Liveops to integrate high-quality geographical or toll free service numbers from 50 countries in their solution. We allow them to integrate new numbers, and most importantly, we allow them to port existing telephone numbers that are in service today to their cloud contact center service. Rosenfeld’s career spans multiple high profile companies over the last 13 years. Joining Voxbone as the Chief Commercal Officer in 2013, Rosenfeld was quickly bumped up to CEO in February 2013 by Rod Ullens, Voxbone co-founder and former CEO. Voxbone offers a number of services that work to enable cloud communications. These services include geographical and toll-free telephone numbers (which enable providers to expand their services internationally); voice, text, and fax message conversion to VoIP (SIP); web provisioning and management tools; and much, much more. Once again, we’d like to thank Itay Rosenfeld for setting aside some time to take part in our Leaders & Innovators series at GetVoIP.com. We look forward to seeing your vision throughout the remainder of 2013.